Pianist Walt Wagner, 73, who built a following as a different kind of “piano man,” is leaving Canlis restaurant, and Sub Pop Records will document his final show Sunday, Oct. 9, with a live recording. Amazon’s bequest this week of $10 million to the University of Washington was the kind of story local newspapers love — two major local institutions in one headline. But how about this? On Sunday, a music story is unfolding that involves three beloved local institutions: Canlis restaurant, Sub Pop Records and pianist Walt Wagner. 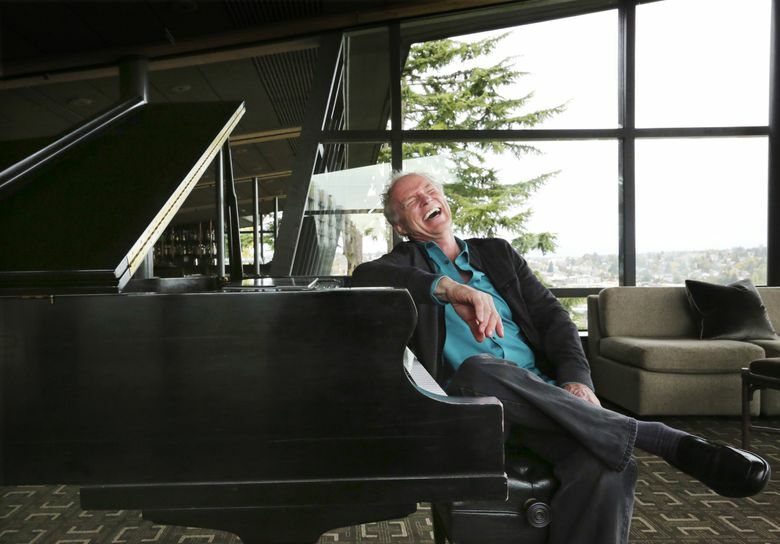 After 20 years tickling the ivories at the fabled Aurora Avenue restaurant perched overlooking Lake Union, Wagner is retiring. Wagner, 73, has been performing in the Northwest for more than half a century. Canlis opened in 1950. And Sub Pop Records, which started in 1988 and shortly thereafter brought the world Nirvana, is making a live recording of Wagner’s (sold-out) retirement concert. Wagner will be sorely missed. Starting out on classical piano at age 6, Wagner grew up hearing jazz records by pianist Art Tatum and cornetist Bix Beiderbecke, thanks to his father, who led a dance band in Omaha, Neb. After working as a fry cook, shoe salesman and various other odd jobs, Wagner found his way into the cocktail-lounge circuit. Old-timers will recall his stints downtown at the Dublin House and Plaza Five (now Benihana) and at the Windjammer, at Shilshole. In the ’70s he went on the road, playing cruise ships and opening at Harrah’s Club and other spots for the likes of Bob Hope, Bill Cosby and George Burns. Though the money was good and he learned a lot — “those guys could really think on their feet,” Wagner recalls — Wagner eventually came home. He started at Canlis in 1996. Marriage vows the following year sealed the deal to stay put. 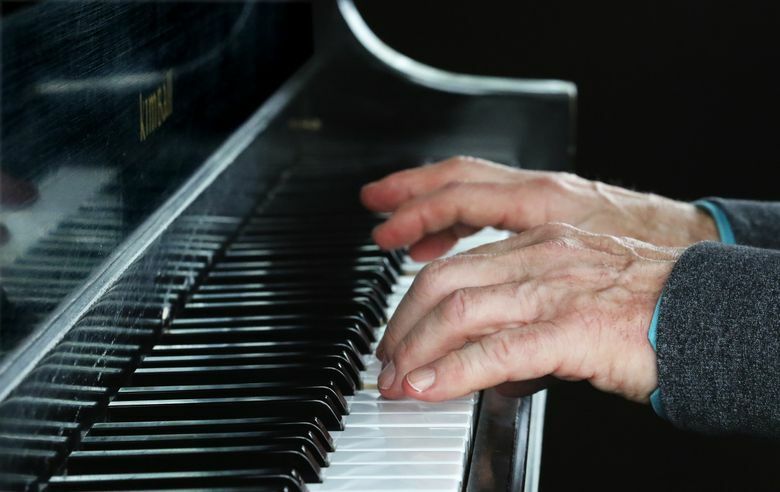 In the popular imagination, cocktail-lounge pianists wear a wrinkled tux, play a hoary repertoire and are even a bit sleazy. But Wagner has taken the role to a very different place. Elegant and attentive to the vibe of the crowd, on a typical night he might play “Someone Like You,” by Adele, “Nothing Else Matters,” by Metallica, and “The Hills,” by The Weeknd, as well as standards by George Gershwin or Harold Arlen and ’60s and ’70s classics by Billy Joel and Joni Mitchell. Wagner’s updating of the set list goes hand in hand with other changes at Canlis. Long perceived as a jacket-and-tie establishment that catered to an older, martini-drinking clientele, the restaurant hired a forward-thinking chef in 2008 and now attracts a younger, hipper clientele. “The average age of this restaurant is 37,” says Canlis. No surprise, then, that at the end of last year, the head of artists and repertoire at Sub Pop Records, Tony Kiewel, came in for a birthday dinner with the label’s Executive Vice President Megan Jasper and her husband and a photographer, Chase Jarvis, who had done some work for the restaurant. When Canlis discovered they were from Sub Pop, he took them on a tour of the restaurant and showed them an old vinyl LP, “Live at Canlis,” from the ’60s. Voilà! … a project was born. For the show, the restaurant will be converted to a concert hall, sans tables, and patrons will stand. A film crew headed by Jarvis will document the evening. Though the show is sold out, it can be streamed live at www.canlis.com/walt. Two pianists — Lennon Aldort and Jason Coult — have been filling in, but Canlis stresses that, just as new chefs have brought in new ideas, the priority is to do something different. “There will be no replacing Walt,” he says. Paul de Barros: 206-464-3247; pdebarros@seattletimes.com; or follow him on Twitter @pdebarros.